EU lawmakers have rejected a proposal for transnational lists of candidates for seats in the European Parliament. EU national governments must still vote on the plan ahead of the May 2019 European elections. The proposal failed after the centre-right European People's Party (EPP) said there is no legal basis for what was labelled "another elite-driven project" by one MEP. 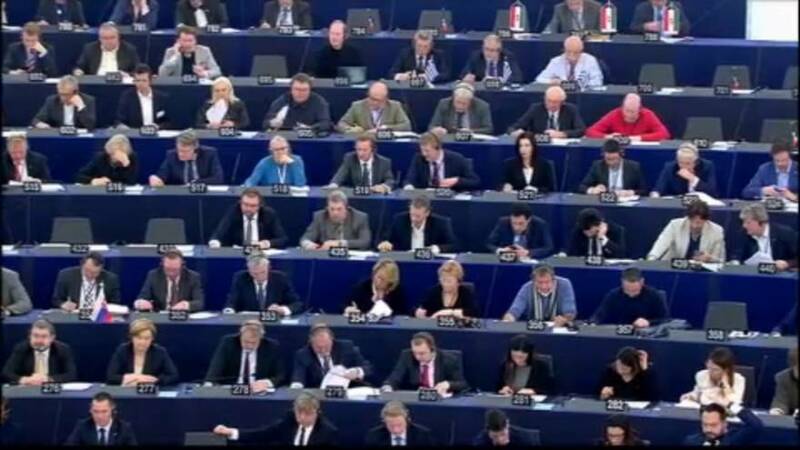 Currently, the biggest party in the European Parliament is the EPP. It is led by an ally of Chancellor Angela Merkel. After the UK leaves the EU in March 2019, the parliament will have fewer lawmakers. The assembly is seeking to reallocate some seats to under-represented countries like Spain, Italy, France and the Netherlands. In September, the French president proposed that some of the 73 seats freed up by Britain's departure should go to Europe-wide constituencies instead of national ones. Under the parliament's proposal, there would be 46 fewer seats in the parliament, taking the number of elected seats to 705 from 751 with no transnational seats. However, EU governments must still decide their position, before seeking the parliament's final agreement to any compromise. The French president supports the idea. "France will continue to defend this idea in months and years to come because it would contribute to strengthening European democracy by creating debates on European challenges and not strictly national ones during EU elections," Emmanuel Macron said. He set up his own party to win election in France last year and it has yet to form cross-border alliances within the European Parliament, limiting its influence there. Next year's election, and potentially a transnational list backed by Macron, could increase the French president's voice in the EU assembly. Macron and his fellow national leaders will discuss the list issue at a summit on February 23. Macron and other European political groups including the Greens and the centrist liberals say transnational lists would help face down eurosceptic parties that have seen strong support in recent years. Several leaders have expressed opposition. They think transnational lists would be dominated by France and Germany. EU officials also doubt the necessary law changes in all 27 states could be completed in time to allow for the introduction of the system as early as next year. Others see a risk that anti-EU transnational lists could do well, while some are also concerned the system would create two classes of EU parliamentarians. "Not only is there no legal base for such an experiment, what we're looking at is yet another elite-driven project in Europe that will only end up making the EU even more remote from the voters than they already are," - Gyorgy Schopfin MEP, EPP.